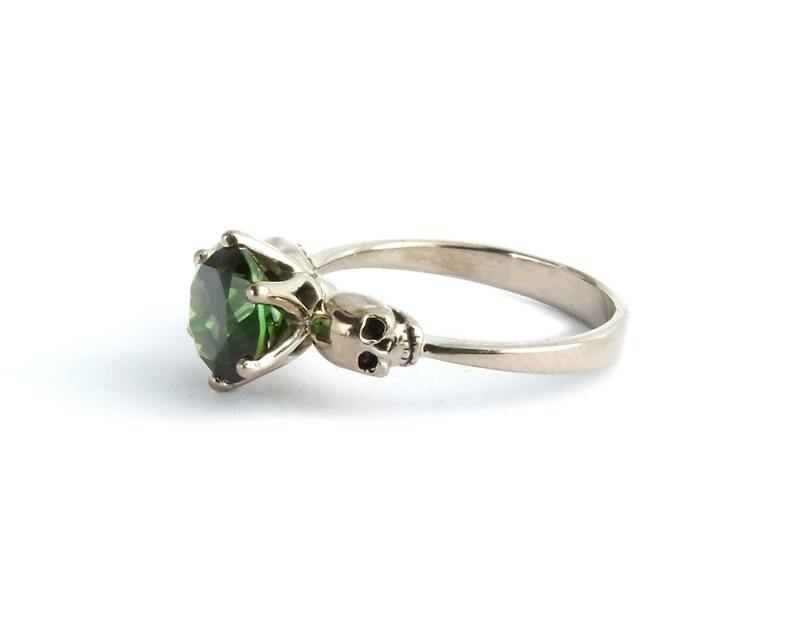 This scary but dainty skull jewel ring will be perfect for your goth wedding or engagement! 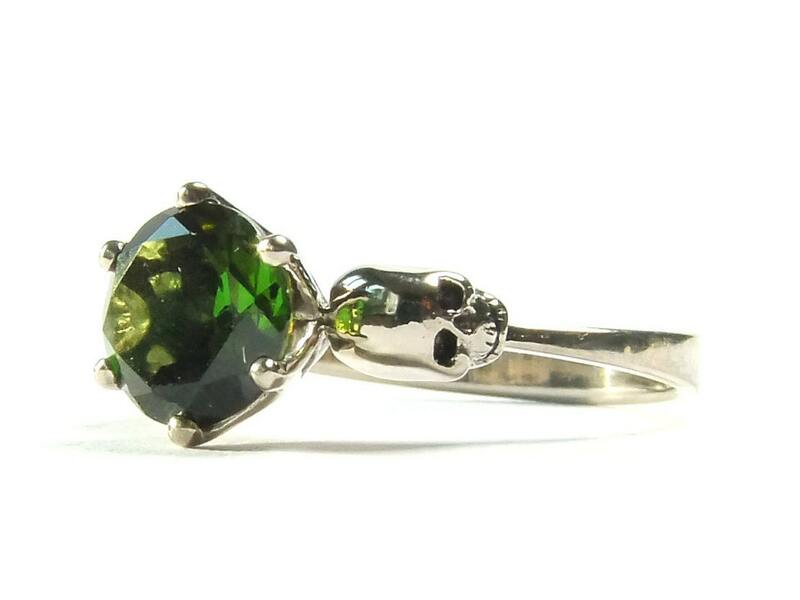 The tourmaline in the picture is of superior quality and colour, a gemstone of deep and vibrant green. 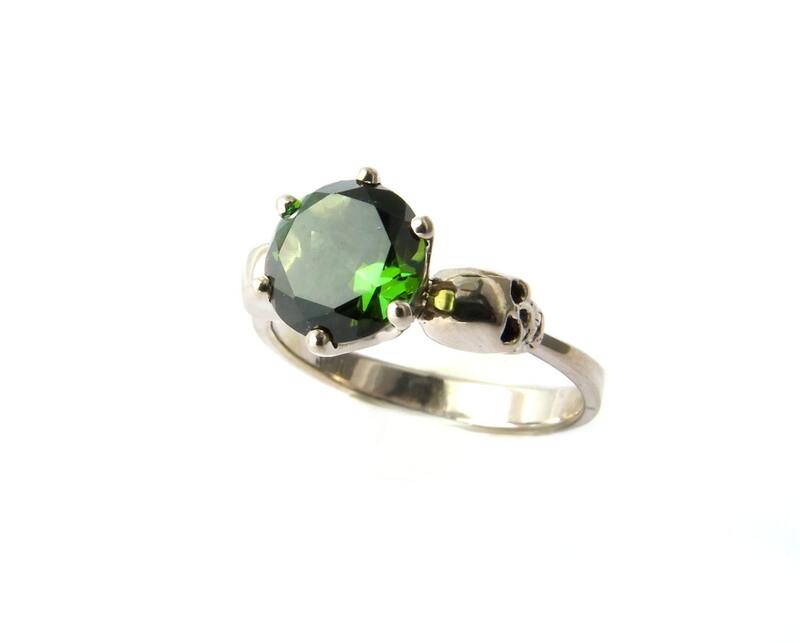 Tourmalines appear in all colours from green to pink, purple, blue and red. As you purchase, please convo me the colour youd fancy and i will order a selection of stones for you from which you can pick your favorite which will be set then. The ring in the picture is already sold. Please understand, that the particular price is depending on the stone, so there might be adjustments due to your personal choice. 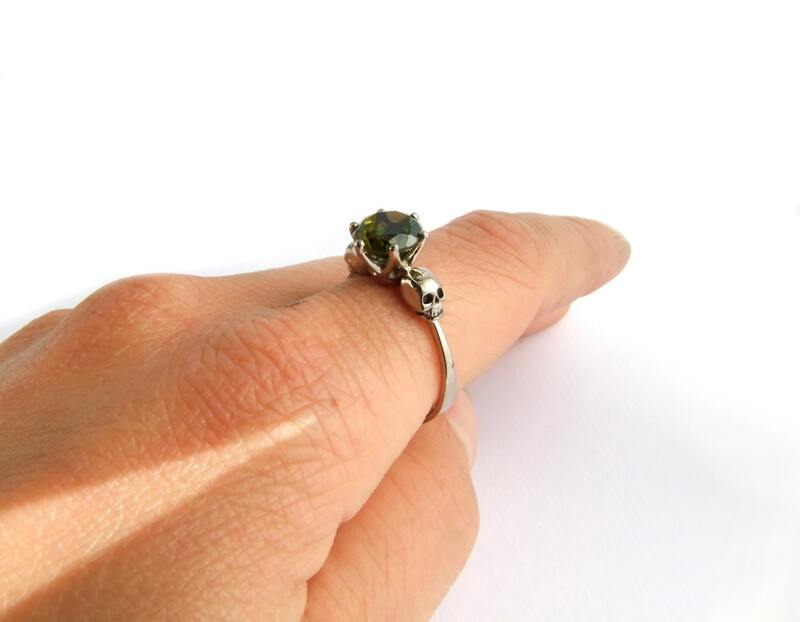 The gemstone is flanked by two little skulls. They are carved by hand and show the most vivid and natural expression. All cavities of the ring are blackened. 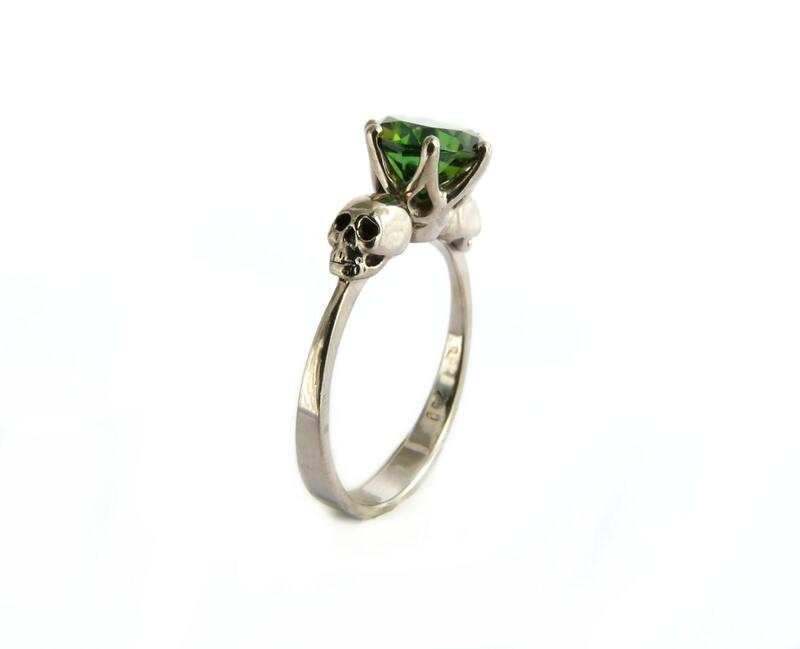 One skull measures 4.5x5mm, the ring is between 1mm (under the skulls) and 2mm wide. That makes it very easy and comfortable to wear. My goal is for you to have the highest quality jewellery and customer service possible! Top-Notch Craftsmanship, Master Hand Polish and Official Metal Stamp are just a matter of course for jewellery made by Kipkalinka. A gift-worthy luxury wooden box with every ring over 700€. FREE Insured Express International delivery world wide included!